The idea of reliving youth is a common fantasy, but who among us is actually courageous enough to try it? After surviving a deadly cancer against tremendous odds, college president Roger H. Martin did just that - he enrolled at St. John's College, the Great Books school in Annapolis, Maryland, as a sixty-one-year-old freshman. 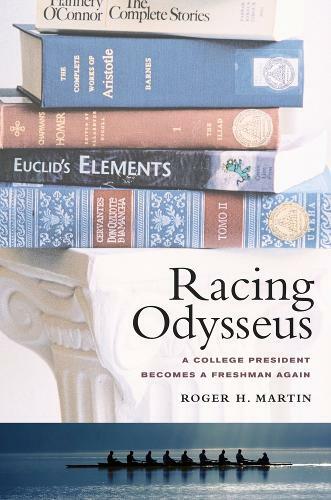 This engaging, often humorous memoir of his semester at St. John's tells of his journey of discovery as he falls in love again with Plato, Socrates, and Homer, improbably joins the college crew team, and negotiates friendships across generational divides. Along the way, Martin ponders one of the most pressing questions facing education today: do the liberal arts still have a role to play in a society that seems to value professional, vocational, and career training above all else? Elegantly weaving together the themes of the great works he reads with events that transpire on the water, in the coffee shop, and in the classroom, Martin finds that a liberal arts education may be more vital today than ever before. This is the moving story of a man who faces his fears, fully embraces his second chance, and in turn rediscovers the gifts of life and learning.